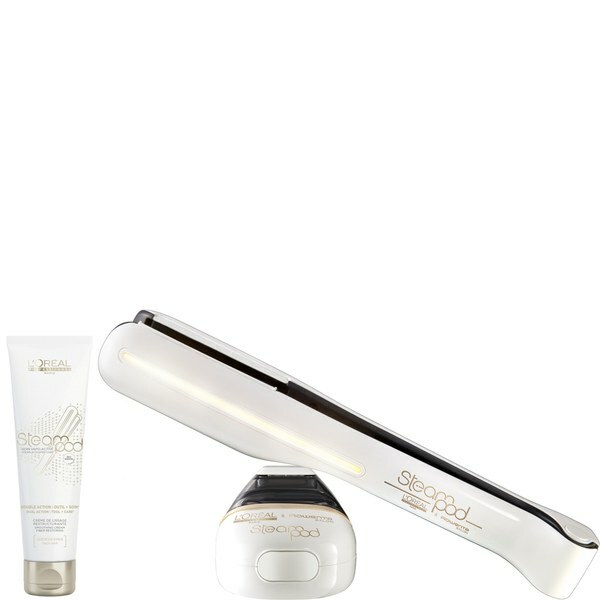 Tame your locks with L'Oreal Professionnel's Steampod 2.0 and Normal Cream bundle. Combining the innovative Steampod 2.0 hairstyling tool with a pro-keratin enriched styling cream, expect soft, controlled hair with a salon professional finish. - K.N. A revolutionary hairstyling tool that utilises a combination of steam and pro-keratin technology to help tame hair movement and leave it silky smooth, whilst protecting from heat damage. Experience sleek and manageable locks with a professional finish. The anodized floating plates are flexible and the continuous steam pressure opens the hair cuticle to retain natural moisture levels. The integrated comb spreads hair evenly along the hard ceramic plates. 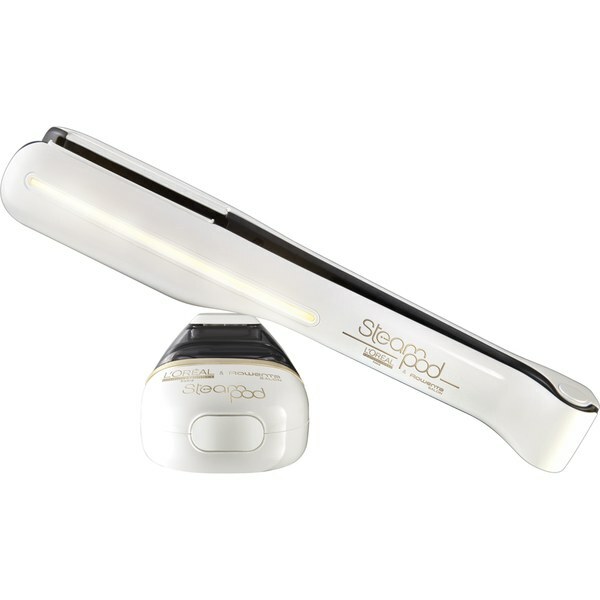 Designed to be used in conjunction with the innovative Steampod hairstyler. Suitable for pre or post heat styling, the pro-keratin enriched cream delivers a protective shield to leave hair smooth, soft and frizz-free. Hair feels truly protected and ultimately sleek.